2 day leadership workshop for good leaders who want to be great. Let's be realistic. Each and every year managers in New Zealand achieve great results and their reward is increased targets with less resources. People are expected to do more with less. Resources are limited, financial incentives are limited, in fact the only thing that isn't limited is the potential within the people that work with them. The ability to motivate and inspire people is no longer a quality that Managers aspire to, it's now an essential quality if you want to succeed in today's market. Leadership is the new currency of success. Research by the U.S. National Bureau of Economic Research showed that people reporting to elite leaders are 10% more productive than poor leaders. Businesses are searching for every possible avenue to increase productivity yet there is untapped potential sitting at every desk just waiting to be inspired to act. 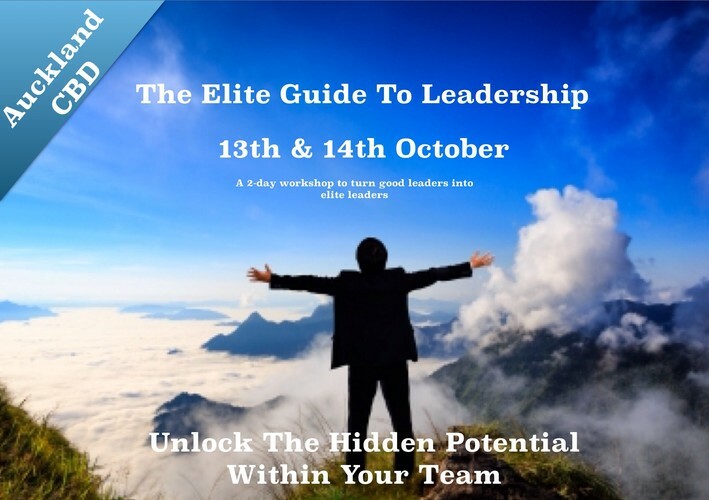 The facilitator is Mark Wager, the Author of The Elite Guide To Leadership. Mark has twenty five years of managerial experience both in the United Kingdom and here in New Zealand. A certified MBTI practitioner, Mark has international experience in delivering highly effective leadership workshops that combine modern leadership theories with practical techniques.